It's a great time to be a landlord in Cambridgeshire | Belvoir! As a landlord in Cambridgeshire it goes without saying that you want to make sure your investment works as hard as possible for your financial future. We can make that happen. It’s a great time to be a landlord in Cambridgeshire! You may have noticed. The prospect of becoming a landlord tends to arrive with a dawning realisation of just how much there is to think about. What seemed as simple as choosing tenants and collecting rent fast becomes a dizzying maze of legal regulation, tenancy agreements and tough financial decisions. It’s not easy. But it can be incredibly rewarding. Buy-to-let remains a hugely promising financial venture. That’s especially true in Cambridgeshire. High house prices (the third-highest in the UK) have contributed to one of the highest proportions of renters in the country. That doesn’t look set to change anytime soon. 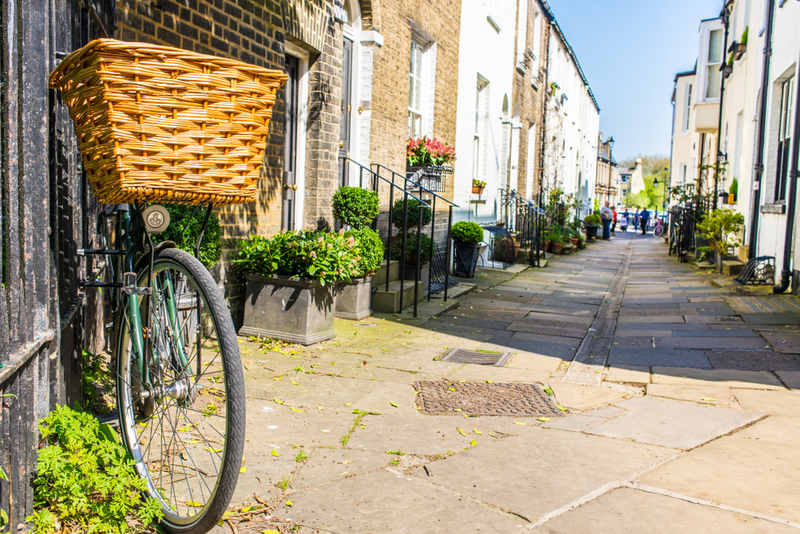 With high rates of employment to be bolstered by new job opportunities and the local population expected to rise by 10-15% between 2016 and 2031, the demand for rental accommodation in Cambridgeshire is set to remain high. That’s great news for buy-to-let landlords like you! Want to make the most of the opportunity? How would you like some honest, expert letting advice - free of charge? We are an expert in Cambridgeshire lettings, and we would be happy to meet you face to face to discuss your ambitions and concerns regarding your rental venture. Sounds fishy? Don’t panic. There are no strings attached. Best of all our free market appraisal can help you avoid common buy-to-let pitfalls and put you on the right path to success. Ah yes, that’s an important detail. Our name is Belvoir. We are a highly knowledgeable letting agent with independently-run offices in Cambridge, Peterborough and Stamford and Bourne as well as other towns and cities across the UK. We have an exceptionally keen understanding of the local property markets and have helped hundreds of landlords across the region maximise their rental returns. We can do the same for you. But hold on. What does a letting agent actually do? A letting agent manages, or part-manages, your property on your behalf in exchange for a fee. Does that mean relinquishing control of your property, or adding to your overheads unnecessarily? Don’t worry. Those are common concerns among new landlords. But the fact is that a good letting agent with strong experience helps you to maximise the income you can generate from your property. As for relinquishing control, the best agents keep you up to speed with all aspects of your property, while ensuring you are compliant with your legal obligations as a landlord. That gives you more control, not less. One of our senior lettings experts can meet with you to talk about what to buy, where to buy and when to approach the market. We know what lets well across the various regions of Cambridgeshire and can walk you through the pros and cons of different tenancy options. We can even accompany you on sales viewings if you would like some professional support. Finally we can make sure you have the right type of mortgage for your rental activities, ensuring your buy-to-let venture gets off to the smoothest start possible. Already sorted your rental property? Great! We can help you set a monthly rent that reflects the local market to ensure you don’t miss out on revenue unnecessarily. We can also recommend strategies to improve your rental return and help with important decisions such as whether you should offer the property furnished or unfurnished. Full disclosure: we aren’t the only local letting agent to offer a free market appraisal. However we would like to think we are the most knowledgeable. Accurate and meaningful insight comes from agents with expert local knowledge - and our experience across Cambridgeshire is second to none. There are over 100 different letting agents in Cambridge alone. As you might expect, quality of service varies from one agent to another. Unfortunately some agents use a free market evaluation as a way to pressure you into paying for their management services. So if you are interested, be sure to research the most reputable local agents before agreeing to meet anyone. You can find out more about Belvoir on our website.